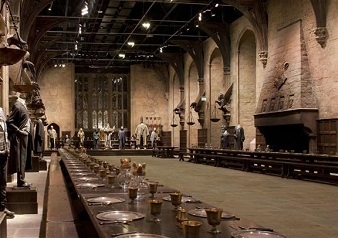 The Harry Potter Studio Tour provides incredible opportunity to see behind the sc enes the magic of the Harry Potter™ films – the most popular film series of all time. 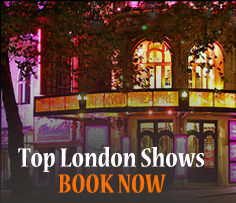 This tour showcases a huge array of amazing sets, costumes and props. It also reveals closely guarded secrets, including facts about the special effects that made these films so successful all over the world. Warner Bros. Studio Tour London has expanded with a new section featuring a recreation of Platform 9 ¾ and the original Hogwarts Express steam engine! This permanent exhibit will open on 19th March and gives visitors the chance to climb aboard the train’s carriage and pose with a luggage trolley as it disappears through the platform wall. Scenes featuring the working train were shot at the Studios, including the iconic last scene in which a grown up Harry, Ron and Hermione wave their own children off to Hogwarts as they leave for school. From 20th July – 6th September 2015, Warner Bros. Studio Tour London are serving up something extra special for visitors to The Making of Harry Potter – the first ever Sweets and Treats feature. Based on the films’ Ministry Munchies kiosk, learn from expert props and cake makers how both real and replica foods were made for the films, including the floating pudding and edible Gillyweed. 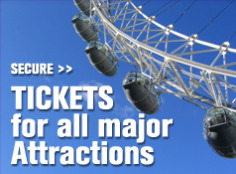 Posted on July 27, 2015, in Uncategorized and tagged Affordable Travel, Attraction Tickets, Behind-the-scences, Day Tours, Family Day Trip, Harry Potter™ films, London Tours, Visit London, Warner Bros. Studio Tour. Bookmark the permalink. Leave a comment.